In a previous post I wrote about the popular misunderstanding of the word “gospel,” that it refers only to receiving eternal life and going to heaven when you die.I then argued that the gospel is everything related to Jesus Christ. Based on this understanding of the word “gospel” it is not wrong to say that the biblical gospel is Jesus Christ, including everything about Him and related to Him. The gospel is centered on Jesus Christ, and everything that emanates from Jesus is “gospel truth.” And what is it that emanates from Jesus Christ? Everything! From the creation of the universe to the future of the universe, all is dependent upon Jesus Christ. The truths about reconciliation, redemption, and resurrection all require Jesus Christ. Without Jesus, there is no such thing as forgiveness, grace, mercy, hope, or healing. Why did God create mankind? Because of Jesus. Why did God, out of all the people of the world, choose Abram and the nation that would come from Him? Because of Jesus. Why was God patient with the Israelites in the wilderness? Because of Jesus. Why did God raise up Judges, Priests, Kings, and Prophets? Because of Jesus. Moving into the New Testament, why did God send the Spirit to birth the church at Pentecost? Because of Jesus. Why did God send the church out into the world to proclaim a message of God’s love? Because of Jesus. Why is God going to restore the world and remake heaven and earth so that we can dwell with Him for all eternity? Because of Jesus! It’s all because of Jesus. Jesus is the gospel and the gospel is Jesus. Calvinism is not the Gospel; Jesus is! This is why, in my opinion, it is the height of idolatry to say, as some Calvinists do, that “Calvinism is the gospel, and the gospel is Calvinism.” (see Custance, 302; Engelsma, 18; Spurgeon, 129). I deny Calvinism but I uphold the gospel because Calvinism is not the gospel. That honor belongs to Jesus Christ alone. Even if Calvinism were true, the most that could be said of it is that Calvinism is one small aspect of the gospel. But to equate Calvinism with the entirety of gospel is to replace the infinite glory of Jesus Christ with a small, manmade system of theology. Such an idea is completely contrary to the Reformation principles of Solus Christus and Soli Deo Gloria. But here is the point: If the gospel is Jesus Christ and all the truth that emanates from Him, then this means that it is completely impossible for any finite human being to ever believe the gospel. Why? Because just as Jesus and the truth about Him is infinite, so also, the gospel is infinite. It is impossible to ever believe everything there is to know about Jesus, who He is, and what He has done. Yet if the biblical gospel is infinite then it would be impossible to ever “preach the gospel” (Luke 4:18; Acts 16:10; Rom 1:15; etc.) or “believe in the gospel” (Mark 1:15). However, Jesus and the apostles seem to have done so quite well. Nevertheless, when these various gospel-preaching events are compared, one discovers that there is no set list of ten gospel truths, or four laws, or six principles that are always presented in every situation. Sometimes the one proclaiming the gospel talks about sin; sometimes not. Sometimes they talk about the Kingdom of God; sometimes not; Sometimes they talk about grace, mercy, forgiveness, and reconciliation; sometimes not. Sometimes they talk about the death and resurrection of Jesus; sometimes not. Sometimes they talk about the post-resurrection appearances of Jesus; sometimes not. The point is that all of these truths which get shared at one time or another in the New Testament as part of the “gospel” are simply examples of some of the truth that emanates from the person and work of Jesus Christ, who IS the gospel. When a person is presenting “the gospel” they obviously cannot share everything, and so they do their best (along with the help of the Holy Spirit) to pick and choose which truths of the gospel should be shared in that particular context to those particular people. Just as the same person in a different context would share different gospel truths, so also would a different person in that same context. This is one of the beautiful things of the gospel. Because there is so much truth to the gospel, there is no such thing as one set of truths that must always be shared. Since different people are in different places with their walk with God, and each of us have different personalities and different levels of knowledge, God allows each of us to share whatever we know with the people in front of us in whatever way we think best. There are no four laws, five points, or six steps to the gospel. There is only Jesus. If we simply share Jesus with people, we are sharing the gospel, whether it is by word or action, in a few seconds or over the course of many years, or to a large crowd or to only one person. We will conclude with one final post on the gospel tomorrow, but until then, what do you think of this idea that Jesus is the Gospel? What do you think of the claim by some Calvinists that Calvinism is the gospel? Superb, spot on, Alpha and Omega, the beginning and the End, Jesus is The way, The truth and the life. He is the Gospel. 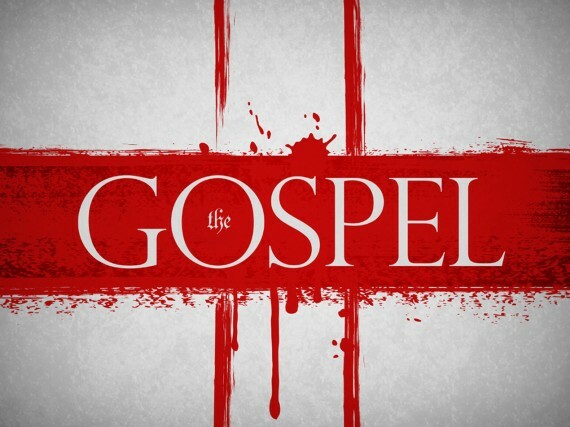 yet gospel means good message, good story or good news — the gospel is the message, not Jesus. Jesus is not a message, just as I am not a comment. Why blur the distinction, why say that Jesus and the gospel are the same? Your target in that sentence is theology. You want to be able to claim a gospel faith without having to pin that faith down to a theology. I wondered how your faith can stay the same when your beliefs change. By making a distinction between your faith which is constant and your beliefs that change, you can claim consistency while being inconsistent, and as we’ve seen your faith is not committed to any theology. That what your saying in this blog isn’t it? “… it is the atheists who are the true worshipers of the true God, for they have recognized the non-existence of the non-god. The Christians who seek to defend the existence of the god who is not God are the idolaters, for if they are seeking to call people to believe in a god who is not God, they are calling people to believe in an idol. In such a case, the rejection of this false god by the atheist is an act of pure worship. Let me get real concrete and specific. The vast majority of atheists I know today have rejected a god which is believed in by the majority of Christians, namely, a god who hates people of other religion, hates homosexuals, hates democrats, and hates “sinners.” This god of popular Christianity commanded Israel to commit acts of genocide, drowned millions of people in a flood because they sinned too much, and is planning to send the vast majority of the people of this world to an everlasting torment in flames and boiling lava. And the God of the old testament who is violent etc, is a non-god. I have to say this is a very extreme way of dealing with difficult scriptures, killing God the Father. A faith beyond belief, devoid of theology, and separated from scriptures you don’t like can be anything you want it to be. Have I misunderstood you? If so how? Or will you just dismiss me as a troll again? You wrote a long comment, most of which shows some misunderstanding of what I have written. I am not sure if this is because I have poorly explained my position, or if you are just seeking to stir the pot and spark debate. If you seek genuine discussion and dialogue, please briefly state one point in a few sentences. I know this isn’t always possible (as in this comment), and I don’t always do it myself, but it is a goal to reach for. The Bible clearly states that Jesus is the Word (John 1), and another way to translated the Greek logos is “message” so I have no problem saying that Jesus is the Message. Note that not all messages are simply words on paper or words spoken by the mouth. The same is true of Jesus and the same is true of the Gospel. It seems maybe the difficulty you are having is with my word “is.” You understand this little word one way, and I am using it another. So to quote the famous “theologian” Bill Clinton, “It depends on what the meaning of the word ‘is’ is.” People mocked Clinton for this, but he was exactly right. Troubleunderfoot, you must be Jeremy’s #1 fan. You’ve gone to a great deal of “trouble” to find all of these quotes from what he wrote. Although I can’t speak for Jeremy and even though we don’t agree on all things, I do agree that Jesus is the lens by which we must interpret all else, including the Bible and theology. Jesus is primary and those are secondary. After all, the Bible and theology are understood in many ways by many people, many of whom believe that theirs is the one and only true understanding. Their belief system, which they feel is based on the Bible and expressed/explained by their theology, often becomes primary and Jesus becomes secondary. Their belief system in practice becomes their God. If we follow Jesus, if he is our Rabbi, then we attempt to live as he did and love others as he did. This does not exclude the Bible or theology. But we try to understand all things through the lens of Jesus, not through a system, our church, our favorite theologians or even through what our own minds have conceived. If we accept Jesus for who he claims to be, then how can we do otherwise? I am well aware that many think that Christianity’s goal is to sign up new adherents to its religious system, and that may well be the case if we’re talking about “religion”. I would make the case, however, that my goal is to follow Jesus, show his love to all, especially the unlovely, and to help others in this brief journey we call life. I care not a whit about Calvin’s, Arminius’, Wesley’s or you-name-it’s systematic categorization of Christianity, or whiling away my days arguing over which system is right and which is not. Our world is full of people thirsting for a few drops of refreshing water, the Good News of Jesus and His love, shown to them by those who follow Him. They too care not a whit about these systems, but only about finding the water of life. Sam, that sounds beautiful. And while I blush at being called “Jeremy’s #1 fan.” I certainly admit to being interested in trying to understand the ideas he’s presenting. It’s not biblical Christianity is it? It’s not just systems of theology you “care not a whit about” but difficult scriptures and even the old testament God. Well I can see the attraction. I can see people embracing this. I just wonder where it leads. Beliefs often sound good but lead people to places they don’t expect. That’s been the history of religion.You’ve already killed the old testament God. You presume to know what I care about, but presume incorrectly. Have you not fallen victim to whom or what you presume the God of the Old Testament to be? Perhaps you have believed what someone told you. How do you know that is correct? Sorry to disappoint you, but I’m not part of anyone’s religion. I’m a follower of Jesus. Sam, I’ll take your presumption point as having a possible validity, however while you do say that you don’t fully agree with Jeremy you don’t criticize his position and do appear keen to defend it from my criticism. Perhaps you can clarify how your position differs from Jeremy’s. Jeremy’s position, when you bring it together as I have tried with a few quotations, is to confuse the gospel with Jesus, and to separate faith from belief, and to proclaim that some scriptures are not inspired by God and that those Christians who believe in those scriptures are committing idolatry, whereas not believing those scriptures is an act of true worship. Is there anything in this that you feel able to raise your voice in opposition too, or am I misrepresenting Jeremy’s position? If not, then I’ve made no false presumption, for that position rejects parts of the Bible and the God presented in those verses and attacks those Christians who believe in the Scriptures as a whole. TUF, The presumption to which I refer is presuming to know what I do and do not care about. As far as defending Jeremy’s position, this is his blog and I think I should allow him the opportunity to do that. I should not presume to speak for him. I asked you how you disagree with Jeremy, which you claim to. You already tried defending him. You’re all over the place. As for your indignation that I’ve presumed to know what you care about that’s a false and phony accusation. If you want to debate with me, do it like an adult. Don’t bring up straw men, twist words and avoid the issue. If you don’t know how to play, you shouldn’t be in the game. I said I do not agree with everything Jeremy writes. I did not say that I disagree with all he writes. You may wish to debate, but that is not my interest. You will find others who do. So you weren’t doing that when you replied to my comment with your alternative point of view. I see. Did you notice how you created another straw man? “I said I do not agree with everything Jeremy writes. I did not say that I disagree with ALL he writes.” You need that all so that your sentence makes some kind of sense, but the “all” is complete fictitious. “You may wish to debate, but that is not my interest.” Here we go with the phony indignation again. I want to say this kindly, because you might be a nice person who just can’t debate rationally, but if you want to save face do so by showing intelligence. When you get into a debate, be intellectually honest. If you win the debate you helped someone, if you lose the debate they helped you, and if you just agree to disagree, well at least you understand a different opinion. There’s no need for all this twisting words, false accusation, phony indignation and building straw men. People see through it. It’s irritating, and it doesn’t save face, it makes you look immature. You believe what you believe, Jeremy believes what he believes. I don’t have a problem with that. But Jeremy’s asking us to consider his beliefs, just as you asked me to consider yours. And I think the beliefs presented are confused, and rest on the authority of the bible while denying the authority of the bible. I think it very odd and nonsensical that Jeremy, who no longer believes the whole bible calls those that do idolaters. You don’t like it, don’t debate. I’ll correct my last sentence for clarity, in light of the level of this discussion. If you don’t like debating don’t debate. If you want to discuss these issues with me, debate rationally, that’s all I’m asking. I am afraid this person has raised valid points, Jeremy has brought this on himself. His recent responses to me have left me “shell-shocked”. I remember defending him against a prominent evangelical about a year or so ago on this blog because I though I knew where he was going with all of this but I am afraid I just need to stop reading his posts. Troubleunderfoot raises some valid questions about Jeremy’s conclusions. He also recently called Christendom satanic somehow linking it to the temptations that Christ faced and admitted to abandoning his education in recent responses to me. Some of his work is quoted by others in papers and articles I read so I know there are others greatly concerned abut what he is doing here, not just antagonists like Troubleunderfoot, who by the way, is asking Jeremy to really consider the logical conclusions of what he is trying to teach. Prayers for Jeremy and those who are seeking God, salvation. Do you deny that Christendom as it exists today looks much more like the things that Satan offered to Christ (money, prestige, political influence, etc.) than it looks like Jesus (poverty, no place to lay his head, friend of sinners, hung out with harlots and tax-collectors) I think that Jeremy is spot on when he says that the Institutional Church is Satanic in many of its practices, and since the mainline denominational seminaries use many of these same Satanic teachings in the interest of protecting their money and power, it would be incredible indeed if Jeremy did not abandon some if not all of these teachings. Mike, you may cling to the institutional church if you like, but I think that there are many including the millennials who are leaving the IC in droves who recognize that the institution is now serving for the preservation of the institution, not for the furthering of God’s kingdom. Yes I do. You are calling the Bride of Christ these horrible names. I think these extremist remarks obviously appeal to some but at some point you and Jeremy should rreeaallyy consider the consequences of what you are teaching. There are some great people in Institutional churches but for the most part they let themselves be led astray. They believe all that they are taught and rarely check the bible to do their own research. Many of these poor people work from sun up to sun down and rely on the pastor to feed them the truth. Take the universal teaching on the tithe- taught in practically every denominational ( and many non-demoninational also) church as the “gospel truth” yet it is so far from the biblical truth. That is just one of many false teachings by institutional churches today. Mike, the institutional church is NOT the bride of Christ. The collective of believers from inside and outside the IC make up his bride. The institution has become more the bride of Frankenstein. Lots of really great discussion here. I LOVE it. I cannot respond to everybody, and so will simply respond to Mike’s initial comment (which many others have adequately responded to as well). Mike, thank you for your concern and input, and for your defense of me in the past. And yes, people have quoted and critiqued some of what I have written in other blogs, books, and journal articles. But that doesn’t mean I’m wrong. I might be, but being critiqued by others just means they disagree. I disagree with them. Does that make them wrong? Not necessarily. As for some of what I have been writing recently, I get the feeling that you and I agree, but you have wrongly assumed I believe something that I don’t. In some of your comments on other threads, you state things things about your beliefs which you assume I disagree with, but I don’t disagree with you. Even though I do not agree with all that Jeremy writes, I think I understand what he is saying here. He may overstate the case a bit to stimulate discussion, but is he not saying that quite often the church and Christianity look very little like Jesus? I agree. Of course you should pray for Jeremy and all those who are calling the Bride of Christ to return to her husband. She doesn’t want to hear such a call. Wayword brides rarely do. Ponder on the differences between first century Christian practies and beliefs and twenty-first century Christian practices and beliefs. The first century Chrisian would call the twenty-first century Christian either a heretic or a follower of Satan. Either way, the 21st century Christian follows a gospel not found in the New Testament. Allow me to interject that 21st century western style Christianity may not be recognizable to 1st century Christians, there are places in the world where these western systems are not exhibited. Does Calvinism make God unloving? I think it does.It asserts that God condemns people to Hell just because He decided to. Calvinists and non-Calvinists argue over whether predestination is “single predestination” or “double predestination.” In double predestination, God actively predestines some people to heaven and the rest to “Hell.” In single predestination, God predestines people to heaven, and people go to “Hell” due to their own sin. The difference between double and single predestination is only semantic. If God predestines only some people to heaven, then by default He predestined the rest to Gehenna. Single-predestination Calvinists claim that God did not force sinners to sin, but by His predetermining the Fall of mankind, and by His unwillingness to help sinners escape sin, He rendered their sin certain, and thus actually predestined them to Gehenna. Since Calvinism teaches that people can only choose heaven when God enables them to, and it is God Himself who makes the decision not to enable the doomed to go to heaven, then in fact He does choose some people for Gehenna. Interestingly, double predestination Calvinists themselves say that “single predestination” is doubletalk: if God predestines one group, then by default He predestines the other. The doctrine of predestination makes God unloving. If a person motors a boat past a drowning man but does not rescue him even though he could have done so, we would say the man in the boat was unloving. Similarly, if God saves only those He chooses and leaves the rest to Gehenna even though He could have saved them, that makes God unloving. Yes, I think the God of Calvinism is unloving. Part of this is because of a particular emphasis on certain portrayals of God in the Old Testament, and another part is due to an emphasis on a particular theory of the atonement, and another part is due to a certain acceptance of one strand of Greek philosophy which accepts fatalism. Anyway, all these together make for a god that looks nothing like Jesus dying on the cross. I agree with you about Calvinism. I’m sure Calvinists would deny Emilio’s assertions, but I can see no way around them. The system has its own sense of logic and yet I cannot reconcile it to a loving and merciful God. And you know what? With only a few exceptions, the Calvinist people I have met are not very nice people. They tend to argue over doctrine rather than contend biblically. They tend to look down on Christians who don’t share their views and even pronounce them unsaved. They tend to talk more about Calvinism than about Jesus. They tend to stress the negatives so much that they forget to share the simple truths about God’s lovingmercy. And while the “doctrines of grace” make some refreshing points and can be comforting among so many man-centered ideas that we hear these days, all in all the god they portray doesn’t look much like the God in the Scriptures. Yes, they would deny it. And call him (and us) heretics in the process! You make the good point that the doctrines of grace are refreshing and comforting to many people. That is true. People like the idea that they are only doing things because God made them do it, and that everything is out of their control. It’s kind of a scary way to think, but it is comforting to some. Paul on three occasions used the phrase: “according to my gospel”. What was “his” Good News? Acts 28’31 records that Paul was “preaching the kingdom of God and teaching the things which concern the Lord Jesus Christ”. Wasn’t that also Christ’s Good News? and Philip’s? And ours?? What does it mean to preach Paul’s gospel? Obviously he had a more comprehensive message than is usually called “the gospel”. Who preaches the Kingdom of God today? It seems to be debatable as to what it is even. Excellent questions! Some have said that Paul’s gospel was different than the gospel that John the Baptist preached, which was different again from the gospel that Jesus proclaimed. I can see how this point is argued, but I think it starts to muddy the waters about the content and message of the gospel. It is preferable, in my opinion, to see that they were all preaching one gospel, which centers on the message and mission of Jesus, but each person simply presented different aspects or truths of the one gospel. Calvinism seems to make God the author of sin and evil .Since according to strict Calvinism everything that happens is God’s will, then the sin and evil that occur are His will also. Many Calvinists admit this, but refer to it as a necessary consequence of God’s sovereignty. It seems that saying God is the author of sin and evil contradicts the most fundamental tenants of the Bible, and can on that basis be seen to be a false doctrine. Some Calvinists try to explain that what looks evil to us is not really evil because it is in the master-plan of God. Sounds like double-talk. Jesus said that we could know people by their fruit. God defines love in many places, among them 1 Corinthians 13. If God is the author of sin and evil, then either love is not what He says it is, or He is not loving. The easy and biblical solution is that Calvinism is wrong, and God is not the author of sin or evil. Must be one of those non-gospel verses again. So, if you believe the bible you’re an idolater and if you don’t believe it you’re a true worshiper like an atheist. And Jeremy arrives at this position because there are passages of scripture he rejects. making evil, I AM actively causing all these. Notice that the write uses different verbs to describe the maker’s or Yehova’s actions. He uses very active forms meaning to form or to cause with regard to light and peace, but less active forms associated with resulting consequence ‘bara in the cases of both darkness and evil. This would have made perfect sense to the Hebrew reader as it is a common literary device used in Hebrew literature. God is not claiming to be the active creator of things evil, but as darkness is defined not in itself, but as absence of light. In fact, the scientific method for measuring darkness is the degree to which light is absent. Light does not create darkness, but by existing, light makes darkness possible, for without light, there could be no darkness. God in the same way, is the author of perfect peace, and since we cannot know evil or sin, unless there is a standard to which it is compared. We cannot know what the absence of good is, unless there is something that is completely good. You see, evil is defined by the absence of good, and so God by being the author of complete goodness or Shalom, makes possible the existence of things which are not good, or are evil. We do not have to “kill off” God to understand Isaiah 45:7, just simply need to understand Hebrew literature and grammar. I am not saying this is the only way to understand this passage, but I am saying that it fits into the literary and grammatical and contextual ideology of Isaiah. While you are pretty sure of yourself, and your understanding, Troubleunderfoot, but you may want to consider other interpretations of passages before becoming so adamant that they cannot be understood in harmony with the God as revealed in Jesus Christ paradigm. “are you sure you want to stake your entire argument on Isaiah 45:7.” LOL Is that what I’m doing.? I think that’s what your trying to do, limit my entire argument to one verse. “It is so easily deconstructed. Lets look at the Hebrew text….” LOL. ” just simply need to understand Hebrew literature and grammar.” LOL That’s simple. “While you are pretty sure of yourself, and your understanding, Troubleunderfoot,” LOL, I never expressed my understanding of Isaiah 45:7, I simply quoted it. Are you writing on autopilot? Thank you Fedex, that’s a great response. You might want to address your last point, not to me but to Jeremy, as I was expressing my understanding of Jeremy’s position, which clearly is, there are verses in the bible he rejects, and if you believe in them you are an idolater. I think you’ve just proven my argument. Beautiful. God bless. And you’re funny man, very funny. Excellent point. It is not uncommon to hear some Calvinistic pastors say that God kills people, burns people, and even sends rapists, all for His own glory. This is so tragic. Excellent points about Isaiah 45:7. Thanks for pointing out that the KJV translation of this verse is terribly flawed, and even then, the theological context makes numerous other understandings better than the wrong belief that God actually creates evil. Can we trust our senses if Calvinism is correct? We do actually make choices, don’t we? Even the choice to accept Christ. God tells us that wisdom is the principle thing, and above all to be wise (Prov. 4:7). The reason wisdom is so important is that it enables us to discern good choices from bad ones. But if predestination is correct, we do not actually make the choice for Christ on our own, but God enables us to make the choice, which we then automatically make even though it feels like we are making the choice on our own. Similarly, unsaved people think they could choose Christ but simply refuse to, when that is not the case at all—they are actually unable to choose Christ according to Calvinism. Great points, Emelio. Of course, I have stated elsewhere on this blog that while our feelings and senses are a good gift from God, they can often mislead us. The Calvinist would argue similarly here. Even though it seems like we make our choices (they would say), the Scripture reveals that we only make these choices because God foreordained and predestined them. There’s no “seems” about it. Calvinism is nothing but Satan’s accusation against God, or rather, Satan’s attempt to become God by electing himself a people called Calvinists to follow and worship him. Wow. That is a strong statement! Once again people who seem to think they know what Calvinism is. What a shocker. BTW it’s not that Calvinism says you don’t have a choice. You just don’t have a desire unless God takes out your heart of stone and puts in a heart of flesh. God made us for his glory. It’s about God not us. It’s so man centered to say, “yea we choose salvation.” Our intellectual decision to acknowledge Jesus is what saves us. So God wants to save people but he can’t save them because they didn’t choose him? It’s all based on man’s choice huh? Interesting. As someone who has truly had that heart of stone replaced with a heart of flesh. There is a huge difference from when I was 11 and accepted Jesus, and from me begging in tears for strength to repent and walk closer with God then HE granted it by HIS grace and mercy. I couldn’t have just truly chose Jesus without God doing something. I was unable to make the true choices and changes. God does the work of salvation. You would not have true faith or repentance without God. Calvinism also does not point to God being the author of evil. It would be nice if people actually talking on a subject would care to accurately present the other side and do some homework. PS. I am not a Calvinist, but anyone who has done any research can easily see you don’t know what you are talking about. This post is only one post in a LONG series of posts on Calvinism in which I allow Calvinists to define and defend their views in their own ways. Anybody who wanted to do any research could have easily seen that this is not the only post on the site on Calvinism, and that much more was written elsewhere. PS, I used to be a Calvinist, I attended a Calvinistic Bible college and Seminary, and I have read about 100 books on Calvinism written by Calvinists. How much research have you done? We could imagine this scene. A man talking to his wife says ” My dear, I was the one who chose you to be my wife and you had no desire for me until I persuaded you and note that I proposed to you, you didn’t propose to me. Therefore you need to understand that it is about me, not about you. Would this declaration affect that relationship. We know the answer. heard it many times. It seems to be true but is not really saying anything , with that slippery undefined “it”. It is a discouragement to our brothers and sisters who put their faith in Jesus. It can damage their relationship with the Lord. This saying seems to make people out to be nothing. If we follow Jesus instead of John Calvin we find that ” God so loved the world that He gave His only Son “. Man is not a nothing . The whole of the bible sets out the desire of God to have a loving relationship with His people made in His image. While God remains Lord and Creator and we the creation, ” It’s about God not us.” falls far short of God’s eternal plan.